I love soup. 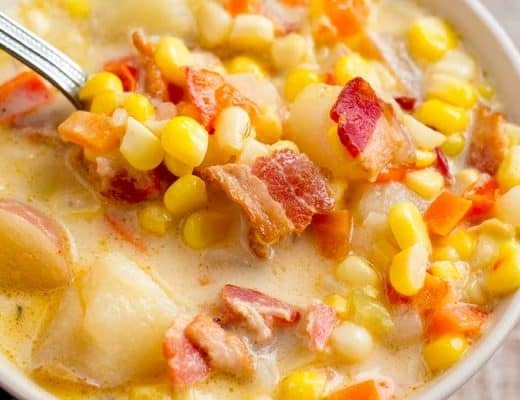 No really, I LOVE SOUP! When eating out, I always order a bowl to start the meal. At home, I’m a big fan of bean soups. 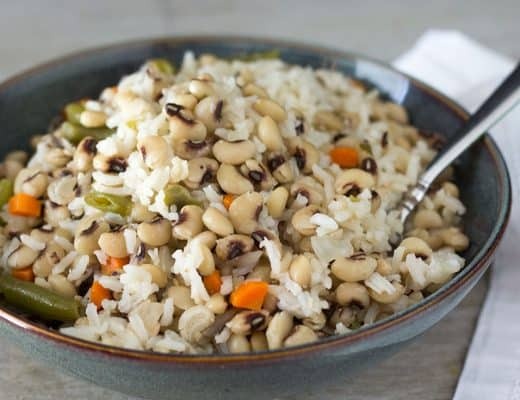 I like them simple and delicious; and I often eat the leftovers for breakfast. 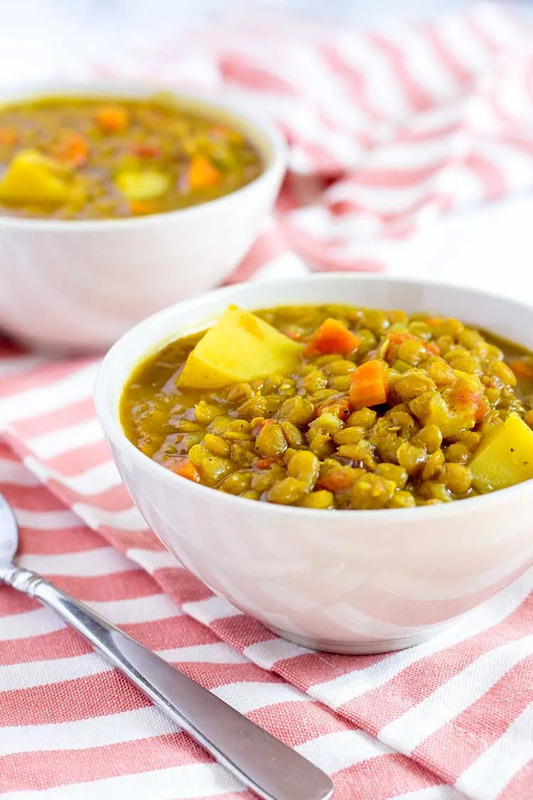 This Instant Pot lentil soup recipe was an instant favorite in our house. It’s incredibly easy to make, yet lacking nothing in flavor. I believe I ate 3 bowls within 24 hours of making it. I only stopped because it ran out. There are few things as satisfying to me as creating an amazing meal without having to destroy the kitchen. I guess that’s part of my ongoing obsession with the Instant Pot. 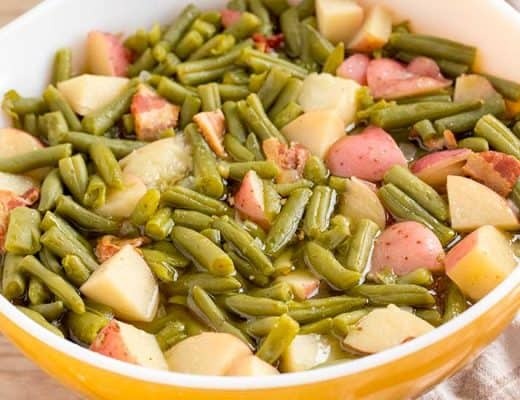 Not every dish I make with it only uses one pot, but this one does! That alone is worth giving this recipe a try. Plus, it’s pretty cheap and healthy all at the same time! 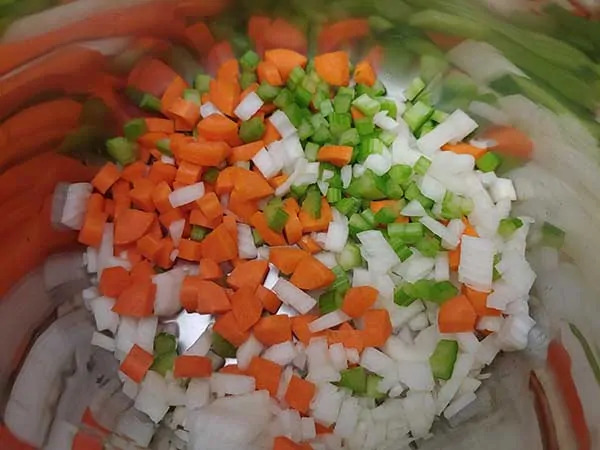 …along with onions, celery, and carrots. 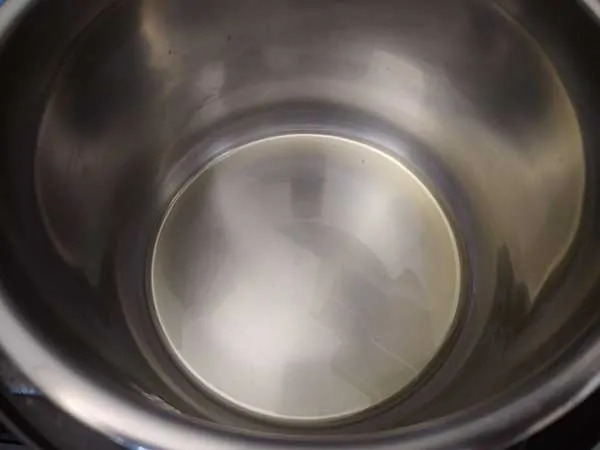 Cook for about 5 minutes, stirring frequently. 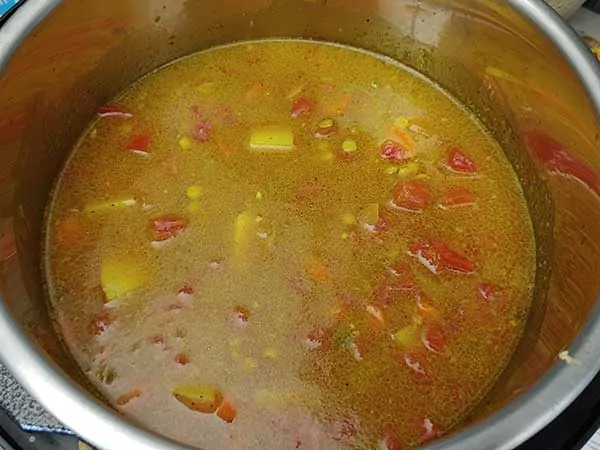 …stirring constantly to fully incorporate curry. …and tomatoes. Mix well. Lock lid and cook for 7 minutes at high pressure. Once time is complete, quick release pressure. 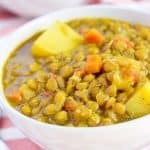 ★ Did you make this Instant Pot Lentil Soup? 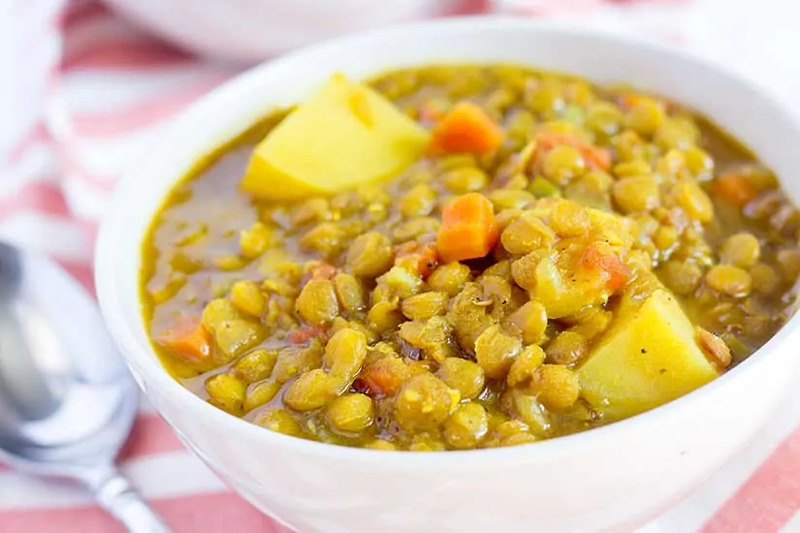 Complete meal in one bowl, with warm and rich flavors. 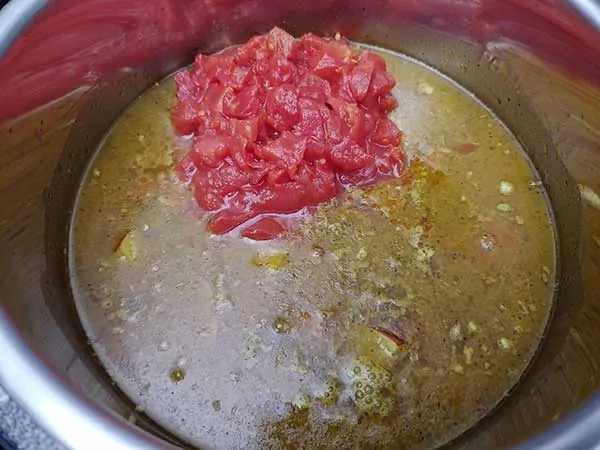 Using sauté setting – add oil to pot, along with onions, celery, and carrots. Cook for about 5 minutes, stirring frequently. 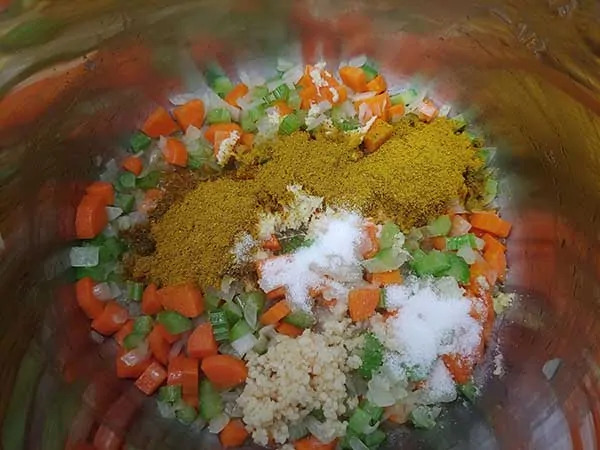 Add salt, sugar, garlic, ginger, vinegar, and curry powder – cook for 1 minute, stirring constantly to fully incorporate curry. 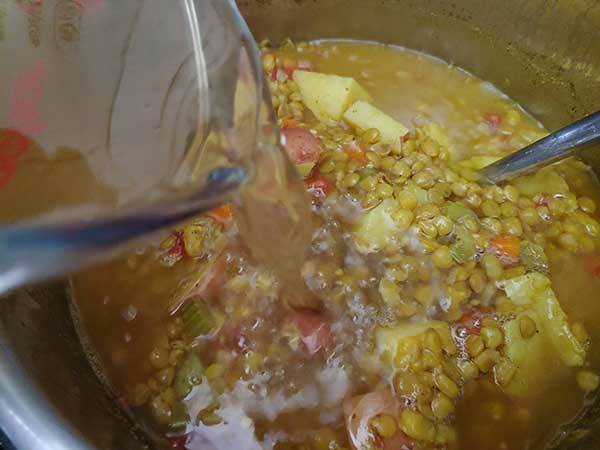 Then add potatoes, lentils, 6 cups of broth, and tomatoes. Mix well. Lock lid and cook for 7 minutes at high pressure. Once time is complete, quick-release pressure. 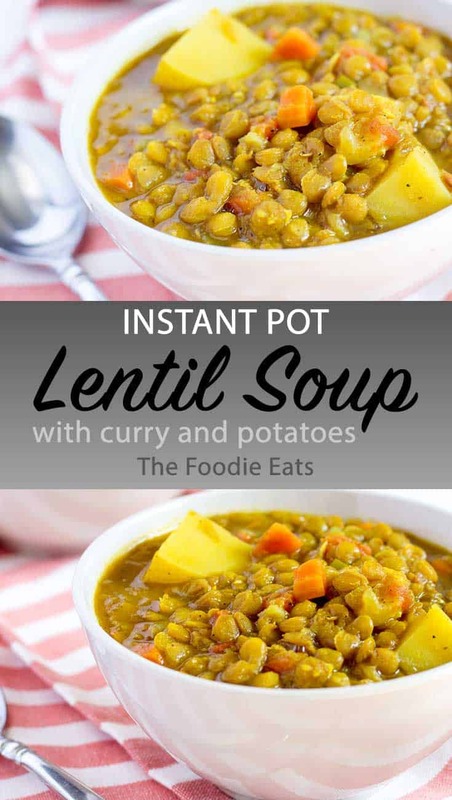 I’m making this now, but…7 minutes to cook one pound of dry lentils? 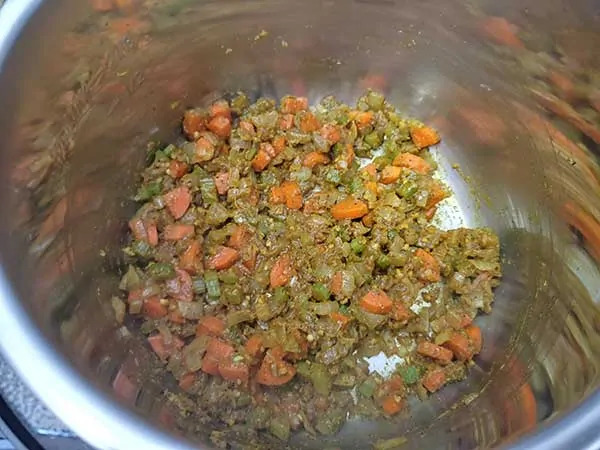 I’ve made other lentil dishes in my IP before and it always calls for 15 minutes. Is this a typo? No, it’s not a typo. 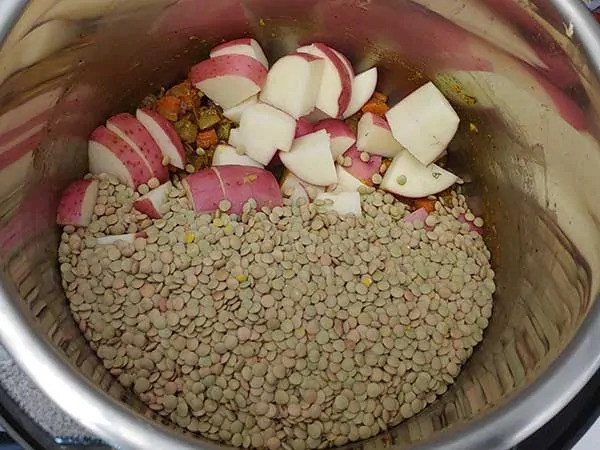 I don’t like when lentils are cooked to mush. With this method, they will keep a little texture. 7 minutes is perfect. I loved the recipe. 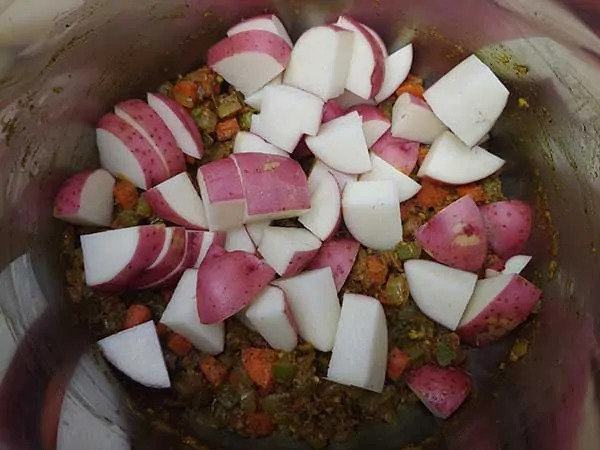 Highly personal modification would be a few more potatoes. I halved small gold potatoes, trying to create the equivalent of 2 medium russets. I will double next time. But, it is delicious. 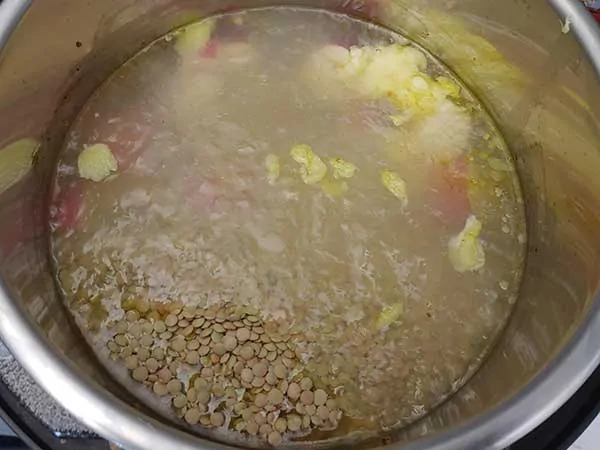 Perfect spice level, nice broth to lentil ratio and super easy. Thank you for the recipe and thank you all for the feedback! I’m making this tonight! Delicious! I’m definitely keeping this recipe on my book!